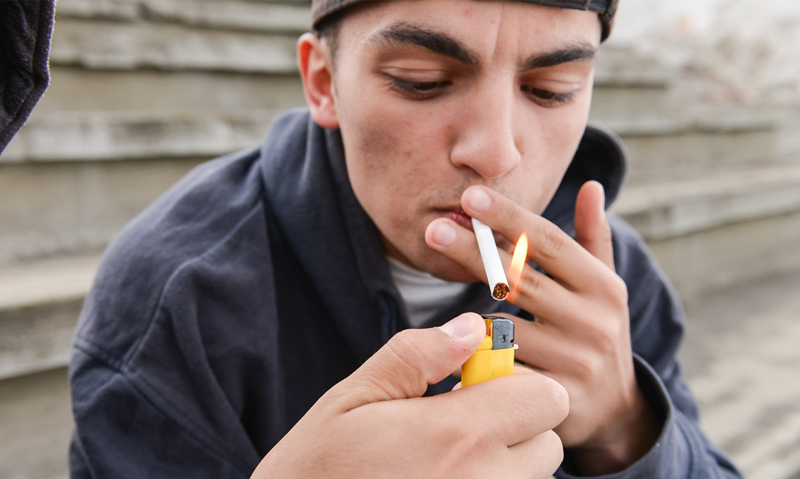 EXPERTS are backing a Bill before the Tasmanian Parliament that would make it illegal to sell tobacco to anyone born this century, but they warn much more needs to be done to reduce smoking rates across all age groups nationwide. Professor Mike Daube, director of the Public Health Advocacy Institute, president of the Australian Council on Smoking and Health and professor of health policy at Curtin University, told MJA InSight that “the two greatest obstacles tobacco control faces in Australia are Big Tobacco and complacency”. Currently, an under-18 law is enforced in Tasmania, making it illegal to sell tobacco to anyone born this century. However, this restriction will expire on 1 January 2018. With the tobacco-free generation (TFG) legislation, this restriction would simply continue, the editorial authors wrote. “With each passing year, there will be fewer slightly older smokers as role models and providers”, they said. The authors said the TFG legislation had been welcomed by the public and received backing from a wide spectrum of health and professional organisations. However, the initiative drew intensive political lobbying by Imperial Tobacco, including closed meetings with decisionmakers, in breach of the WHO Framework Convention on Tobacco Control. The new legislation was debated in the Tasmanian Parliament on 24 March this year. There was strong support for its aspiration, and a committee was established to address workability. The editorial authors wrote that for Tasmania to achieve its goal of becoming the healthiest state in Australia in 10 years’ time, the TFG legislation must be fully enacted. Acting CEO of the Public Health Association of Australia (PHAA), Melanie Walker, told MJA InSight that the PHAA strongly supported the Tasmanian legislation, saying they remain concerned about the massive and continuing harms caused by smoking. “It is great that the TFG Bill is provoking discussion and increasing awareness about tobacco use. It is also important that these innovative approaches are pursued in the context of a suite of comprehensive, evidence-based, whole-of-population approaches”, Ms Walker said. Professor Daube agreed, saying laws that restricted the sale of tobacco to younger people were only one of several action plans that needed to be explored Australia wide. Professor Daube said that whether other states and territories should adopt a Bill similar to Tasmania’s would vary across jurisdictions and, in some, there could be a risk of diverting governments from pursuing other legislation that is urgently needed. Professor John Lowe, head of the School of Health and Sport Sciences at University of the Sunshine Coast, agreed that the Tasmanian legislation was a step in the right direction, but told MJA InSight that calling it an effective policy would be difficult. Professor Lowe thought it was time for Australia to have a renewed public discussion about increasing the age at which a child becomes an adult to 21. He said the longer society could delay young people from legally being able to purchase tobacco, the better chance there was of reducing the likelihood of them taking up smoking. Professor Lowe also believed that similar TFG legislation in other jurisdictions should not negate the necessity of “continuing to reduce the number of places where tobacco can be smoked, decreasing the opportunities for tobacco to be put out in front of the public, and supporting smoking education and cessation programs”.